Lists are powerful tools. You can however overdo it and not get any benefits out of your lists. There can be thousands of other reasons why you make lists, but those will be of a different nature, like a list of members, a list of your cds etc. 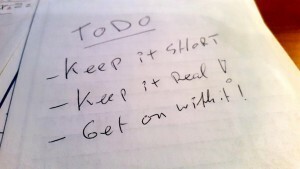 The trouble I see often with people making their TODO lists is that they overdo it. 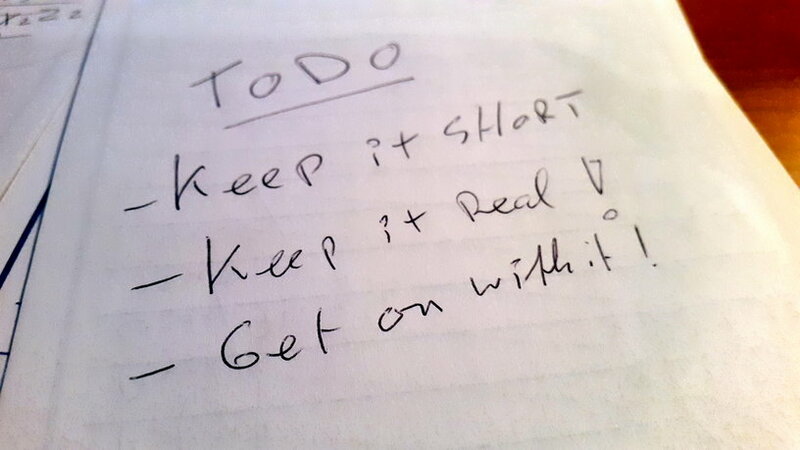 Where your Goal Setting list can be a list with dreams that you are striving for, your TODO list should be realistic and filled with obtainable tasks. You want that list to encourage yourself to get through the barrage of little tasks you need to work through to eventually get your goals accomplished. Once you make TODO lists that are too long or too cumbersome to get through, instead of a motivator (in the evening when looking back at a crossed out TODO list) it becomes a demotivator. There is no hard and fast rule about how many items should feature on your daily TODO list, mine was 11 items yesterday and two of them got started but due to waiting for others to cooperate will feature on the list for today too. There are many paper and electronic systems for your TODO lists, I use google keep but I used to work with “remember the milk” and I also have some lists stored in “evernote“. See what you like and what works for you. Good luck with your TODOs, keep it short, keep it real, get it done!